In our last politics post we looked at where the candidates stood on 4 major issues in education: Common Core, School Choice, No Child Left Behind, and Vouchers. Since that last report there have been numerous developments. 1. Several candidates dropped out of the contest and they include Jim Webb (D), George Pataki (R), Rick Perry (R), Scott Walker (R), Lindsey Graham (R), Bobby Jindal (R), and Lincoln Chafee (D). 2. No Child Left Behind was repealed and replaced with the Every Child Succeeds Act near the end of December. This move was celebrated by some, but not all. If you want to know what has changed for teachers, students, and their schools click here. 3. The current prevailing campaign narrative has Bernie Sanders and Hillary Clinton in a neck and neck race for the Democratic nomination and Donald Trump and Ted Cruz in an epic battle for the Republican nomination. 4. With the recent blizzard impacting the East Coast, fireworks between Donald Trump and Fox News, and fears of a new global epidemic dominating the news cycle, you might have missed a recent and shocking story. I am referring an undercover video investigation into the Common Core Standards, the text-book industry, and the politics surrounding this contentious subject. That topic is this focus of this report, but before we look into those controversial videos, here is a little background information. The Common Core Standards are a divisive issue that has inspired student, parent, and teacher protests and public outcry, which has led some states to alter the standards, drop them entirely, or choose not to adopt them in the first place. (Click this link to see which states have adopted the standards.) The heart of the initial Common Core argument is the perception of government involvement and overreach into public education and the loss of local control in shaping and designing curriculum, and outcomes. The over reliance on testing and the use of curriculums that many students, teachers and parents found confusing, frustrating, and counter productive deepened the divide between those for and against the new standards. The argument became more nuanced when people learned who the primary supporters and funders of the new standards were. According to US News, the Common Core Standards were born out of meetings between the National Governors Association, business leaders, and education experts who had the goal of raising educational standards in America so our students could compete on the global stage. The perception of Federal involvement with the new standards came from President Obama’s increased public support of them. Furthermore, the Federal Race To The Top program, which did come with financial incentives if schools signed on and agreed to the rules, was seen as inextricably bound to the Common Core Standards. For a deeper look into this side of the argument click here. Regardless of how Common Core came to be and if the Government is involved with them doesn’t really matter. The fact is many people do not like them and their collective dissenting voices are having an impact. This issue is so hot it has caused some presidential candidates to change their position do to blowback from constituents. Chris Christie, Bobby Jindal (no longer in the race) and Mike Huckabee initially supported the standards, but now Christie finds flaws, Jindal after supporting implementation in his state had it removed and Huckabee wants them gone right away, along with the entire Department of Education. For the most part Republican candidates have been against Common Core from the onset, with the exceptions being Jeb Bush and John Kasich. This is in somewhat stark contrast to the current Democratic candidates, who seem to all support the standards to some degree. Hillary Clinton, who has been endorsed by AFT (American Federation of Teachers), the largest union in America, has been difficult to pin down on the this issue. Click this link to read about here delicate situation. Interestingly, one of the most outspoken Republican opponents to the standards has been Donald Trump. Click this link to hear what he had to say about the issue. 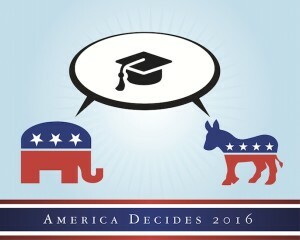 For a deeper dive into the Common Core subject and where the candidates stand click here. Ok, now we will take a look into the controversial video that surfaced last week. 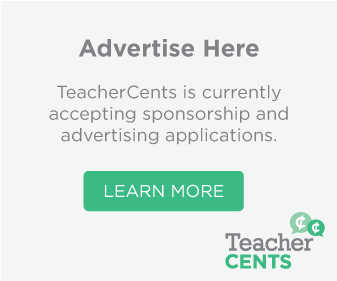 Last week I came across a story about an undercover video series allegedly exposing the dark side of the Common Core Standards and their connection to crony capitalism, political bias, and social engineering. These videos have led to the firing of several individuals who candidly shared their thoughts on Common Core, the text-book industry, and their political ideologies. These videos are not helping those who claim the Common Core high ground. I will refrain from any commentary of my own regarding the videos but would like to hear your thoughts on them if you choose to watch them. I would like to hear your thoughts on Common Core in general and if and how they impacted your life. To watch the videos click here. Click here for an article about the videos. In part three we will continue to look into this topic as well as any other relevant news regarding the 2016 Presidential Race and education policy. Thank for reading and for sharing. 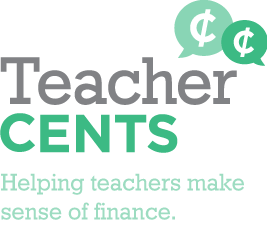 Attention Teachers: Looking For a Great Way To Buy Classroom Supplies?